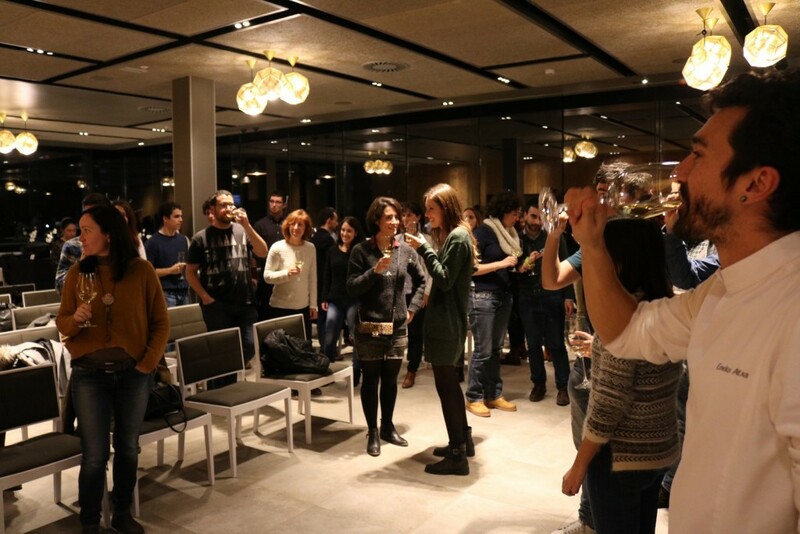 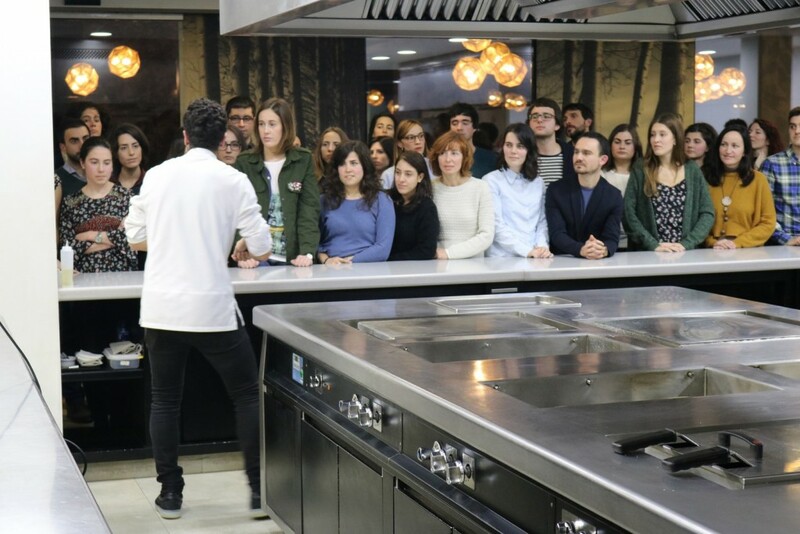 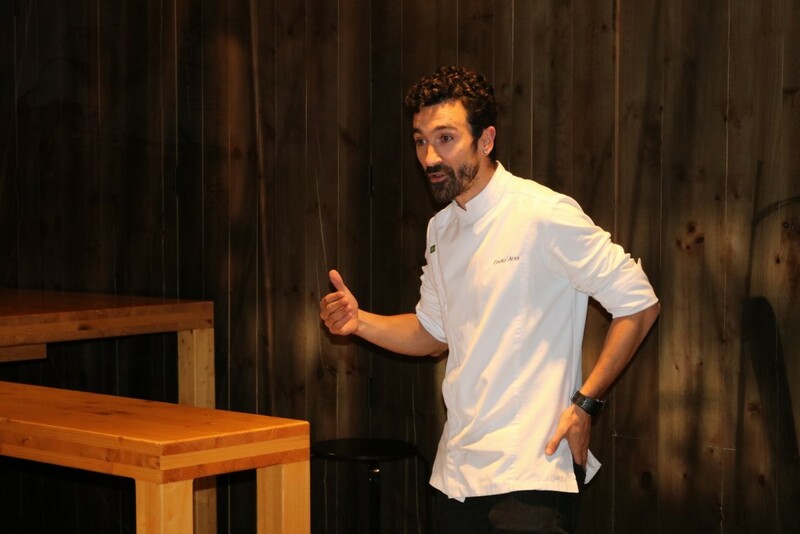 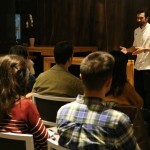 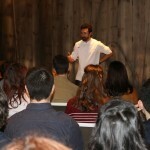 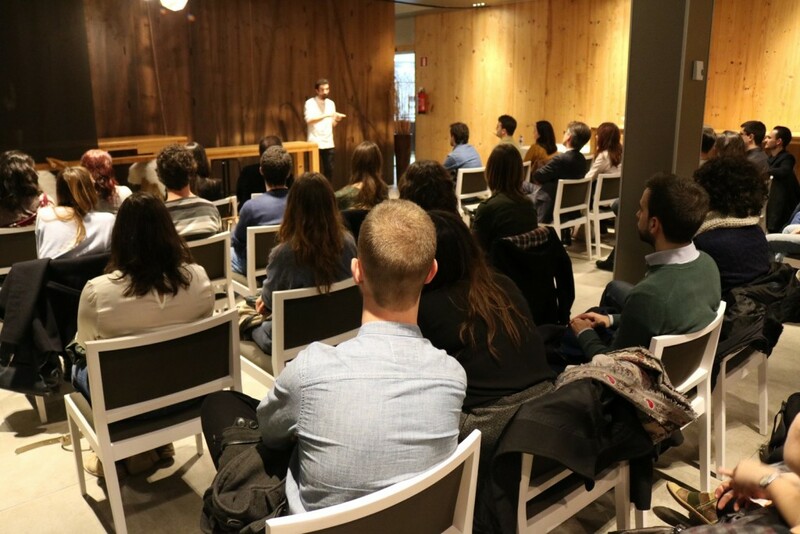 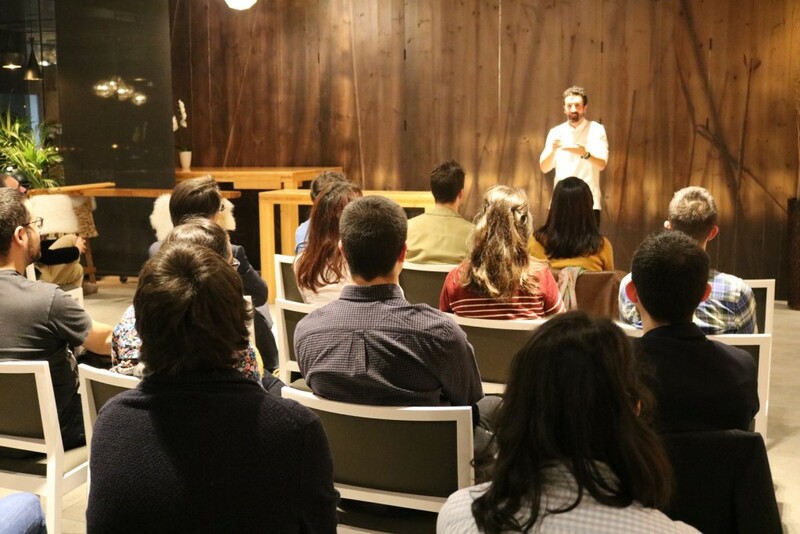 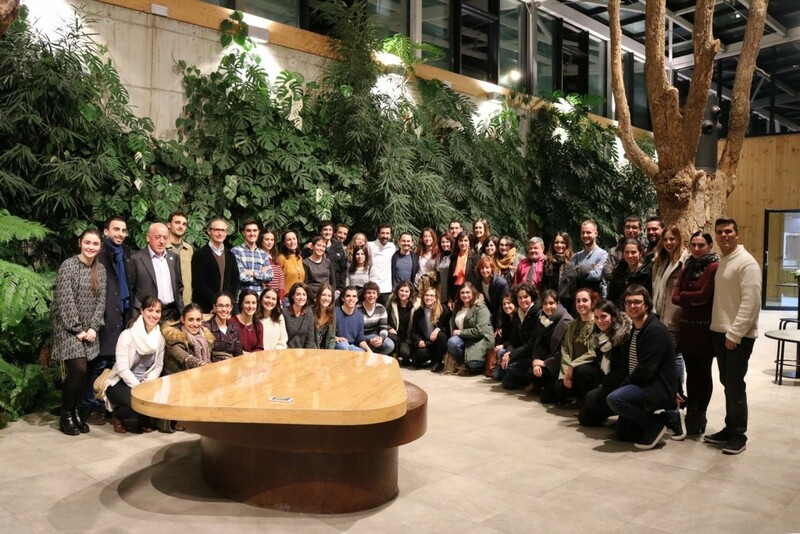 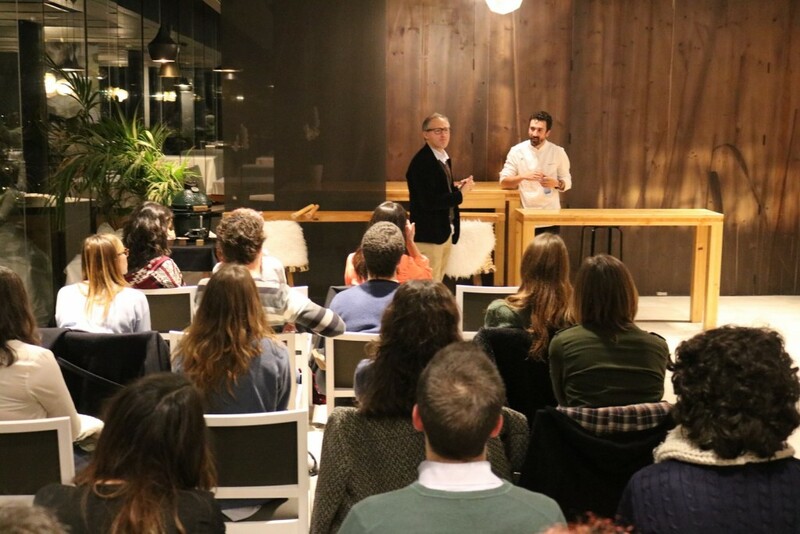 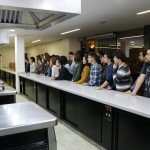 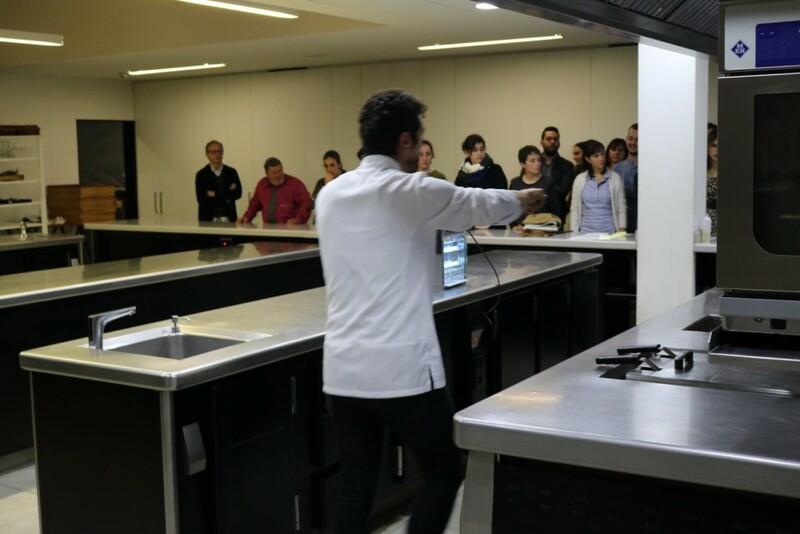 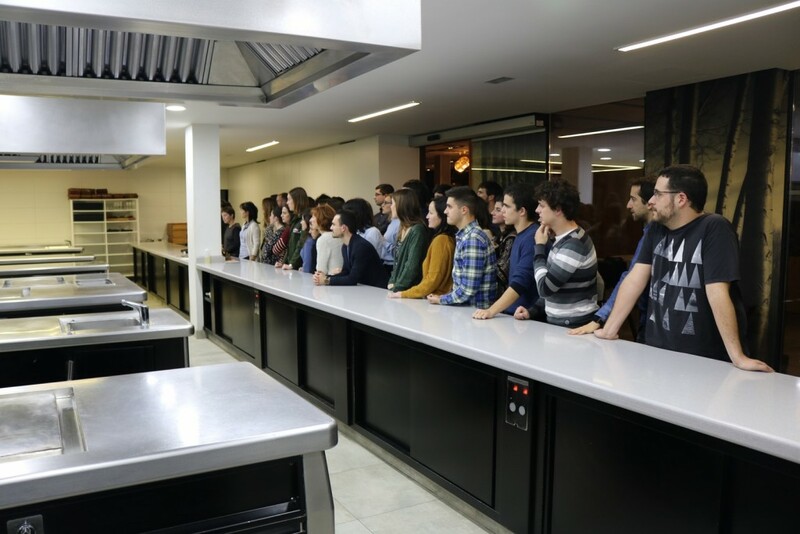 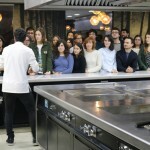 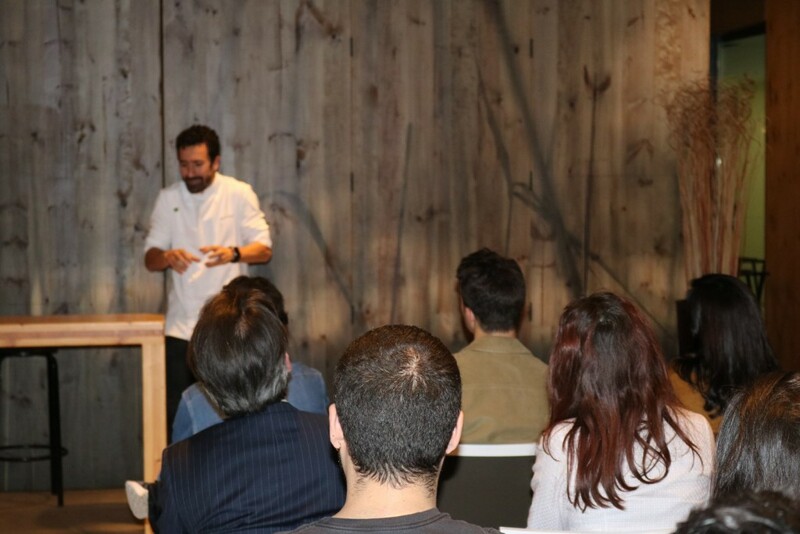 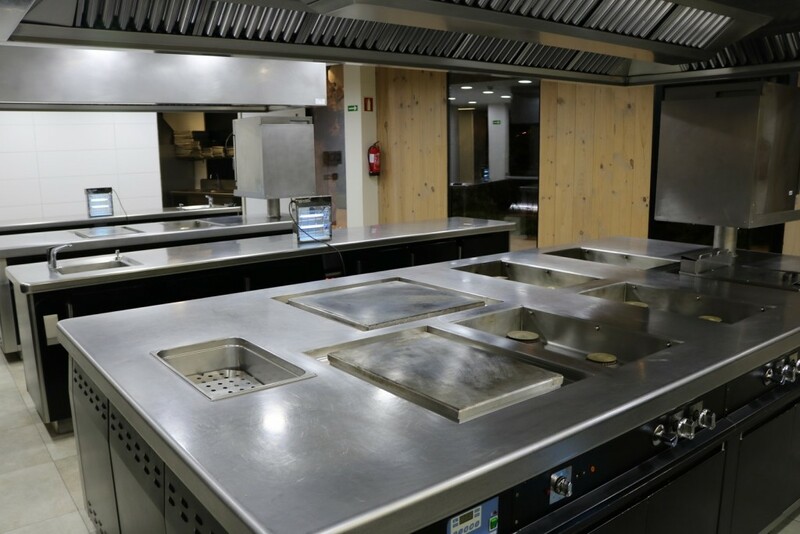 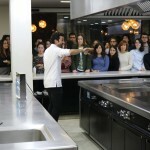 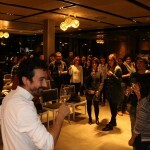 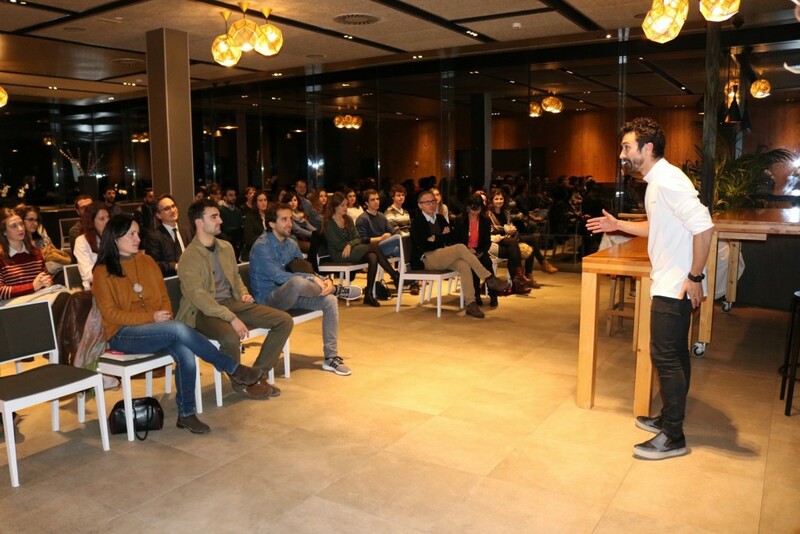 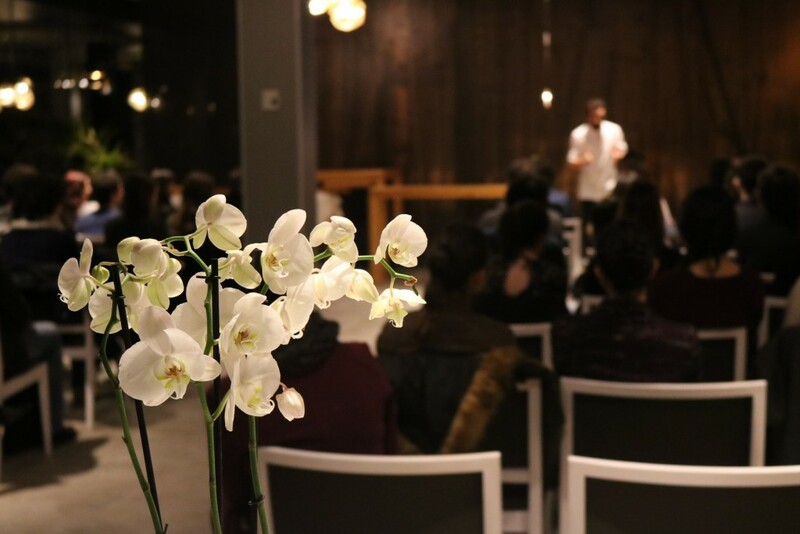 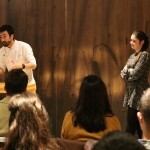 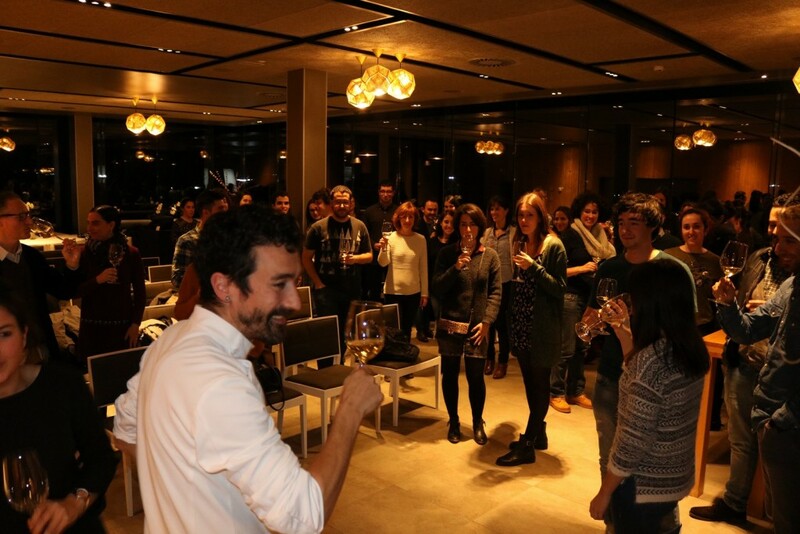 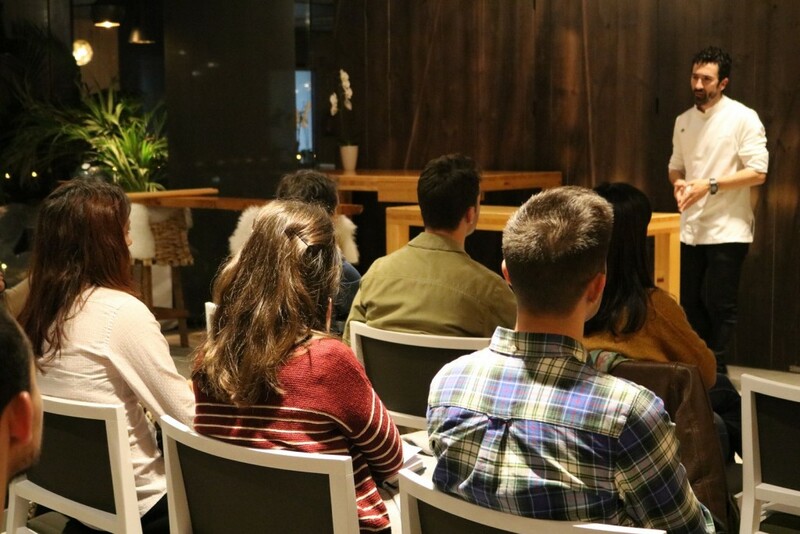 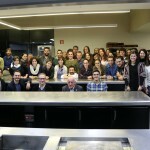 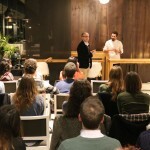 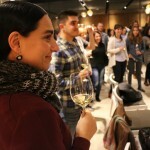 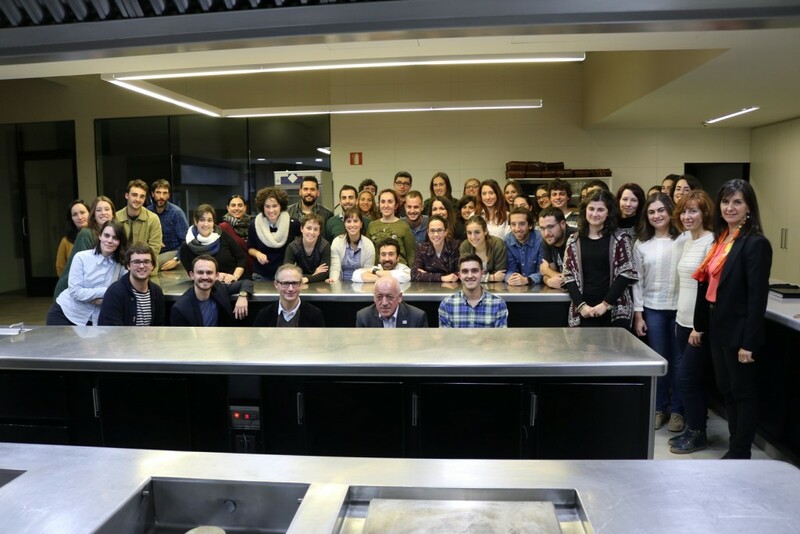 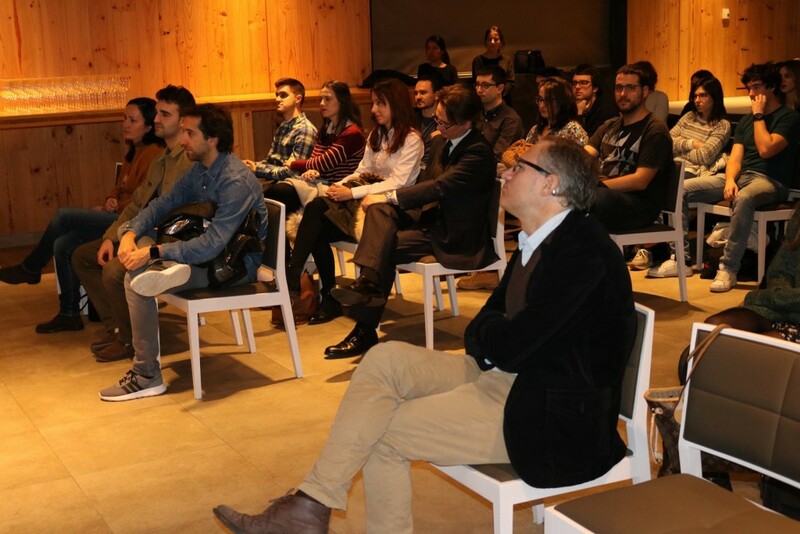 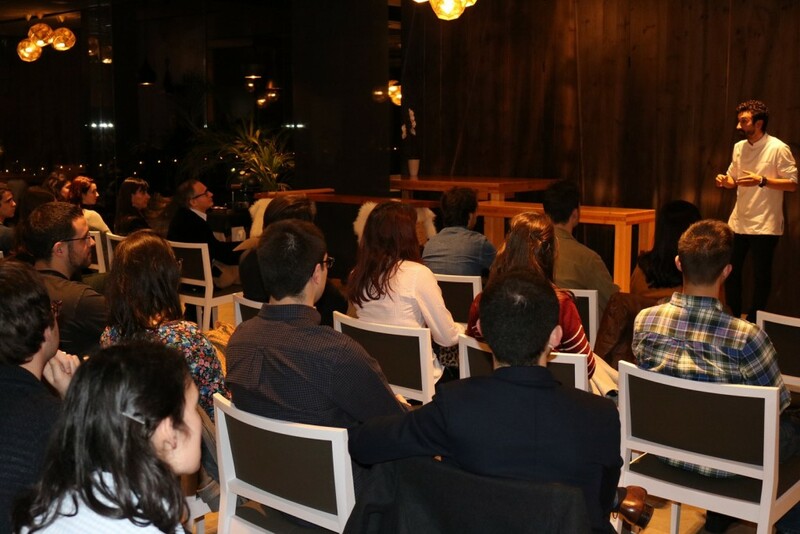 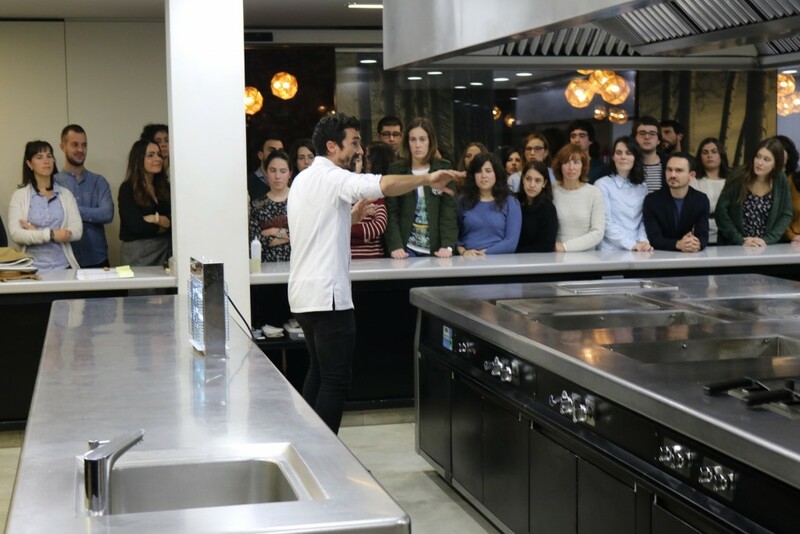 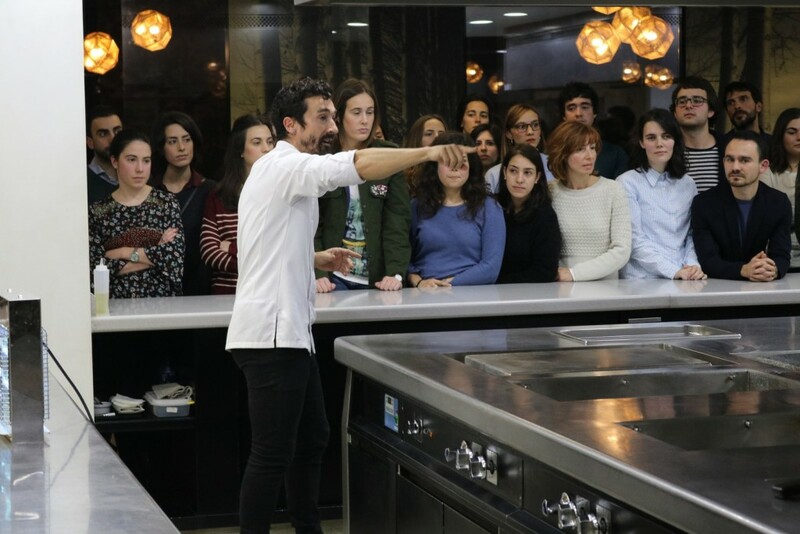 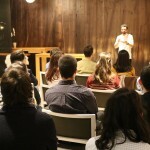 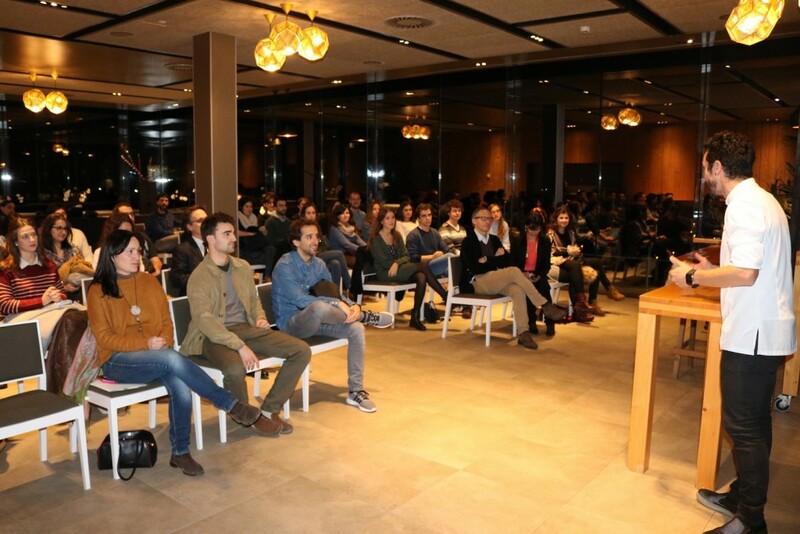 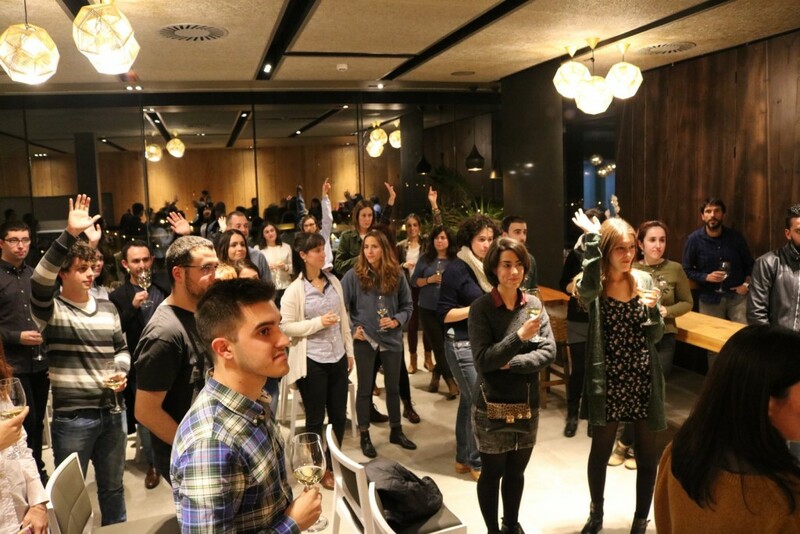 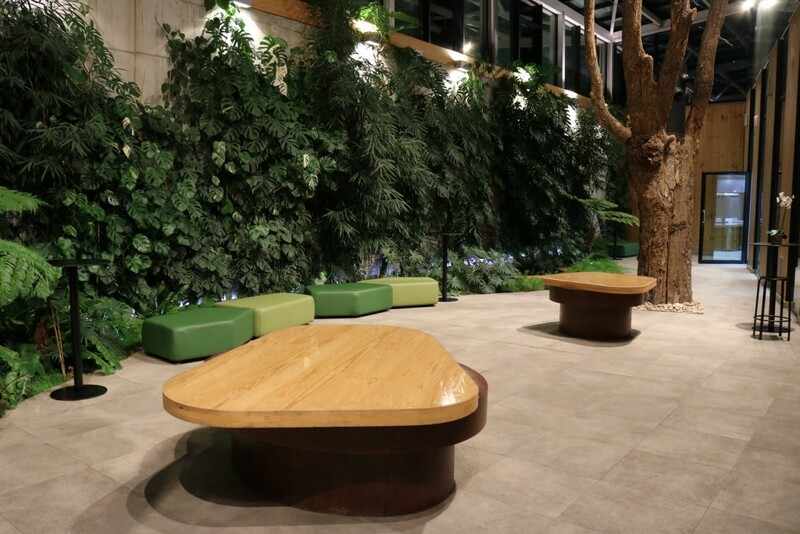 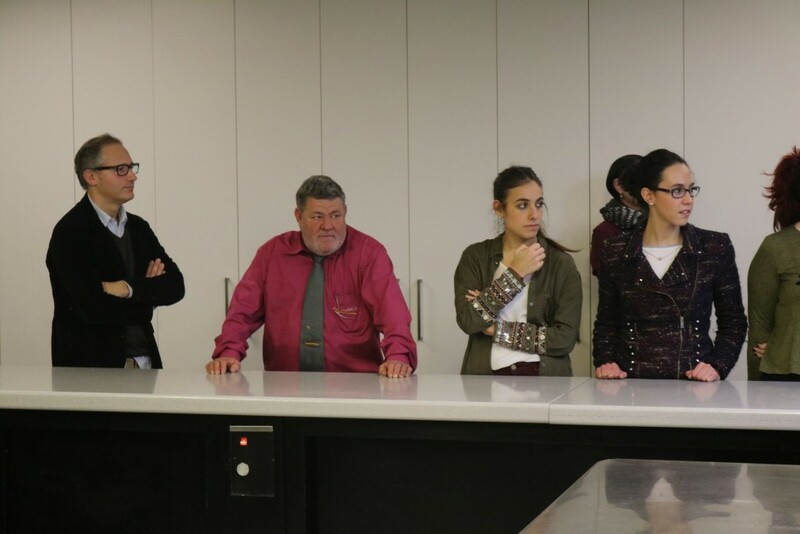 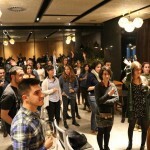 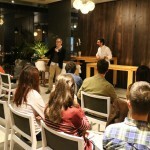 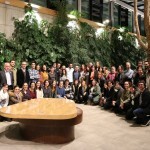 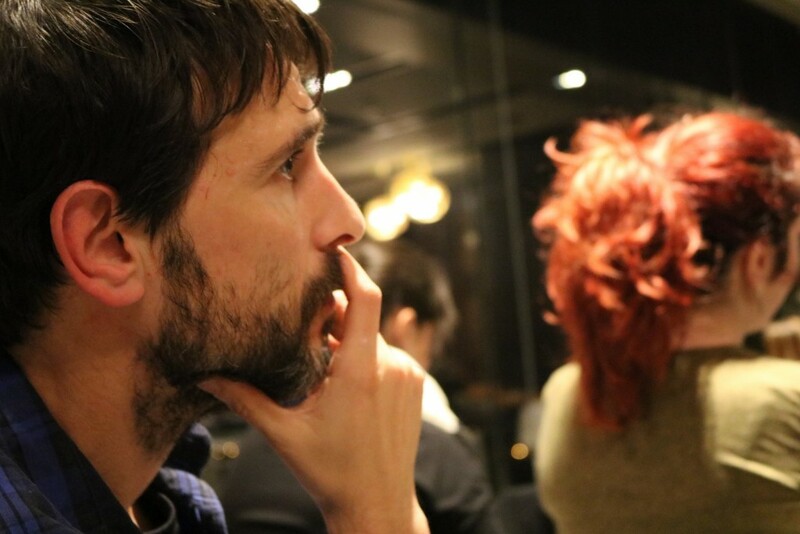 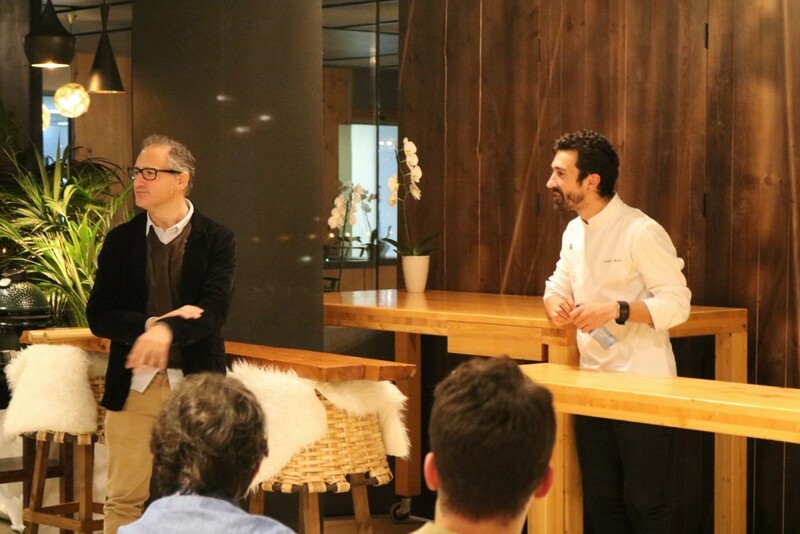 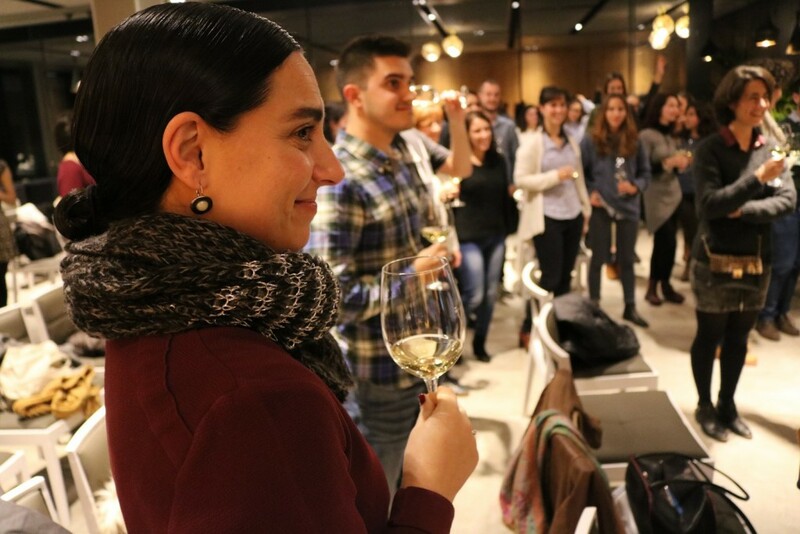 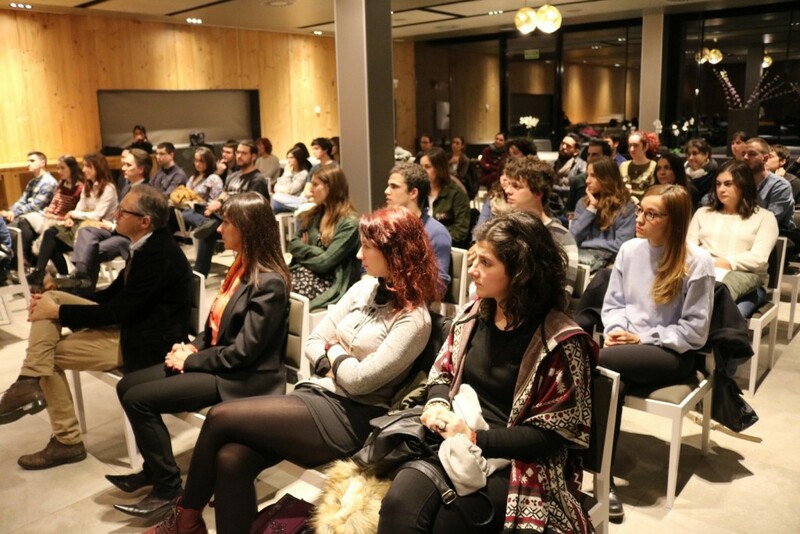 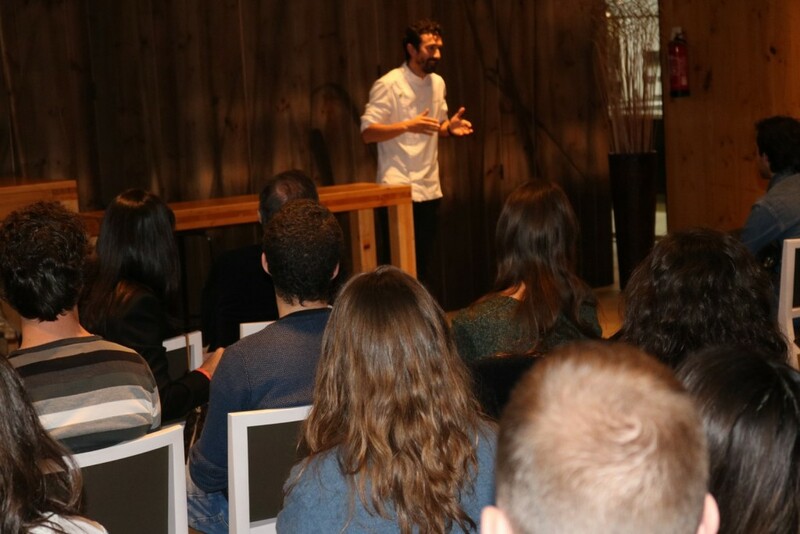 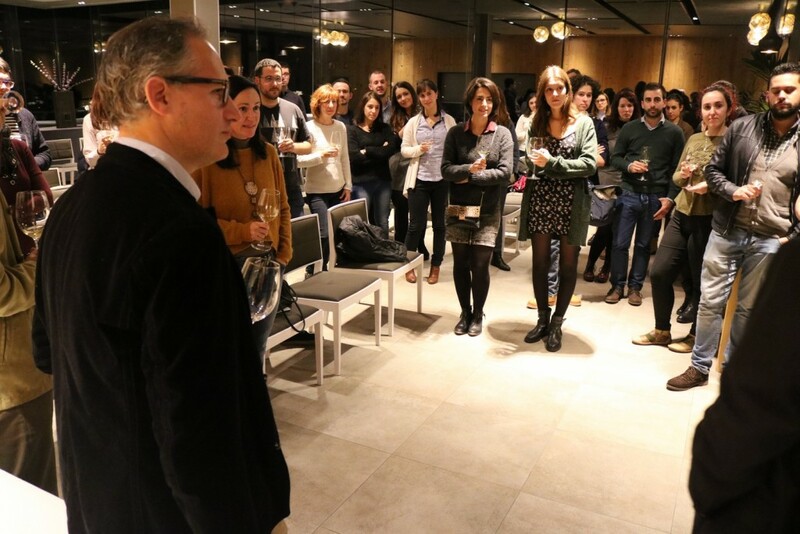 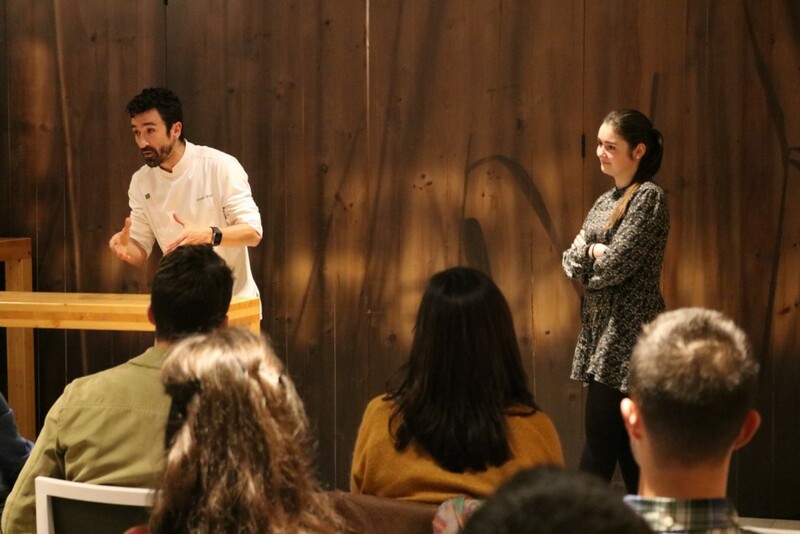 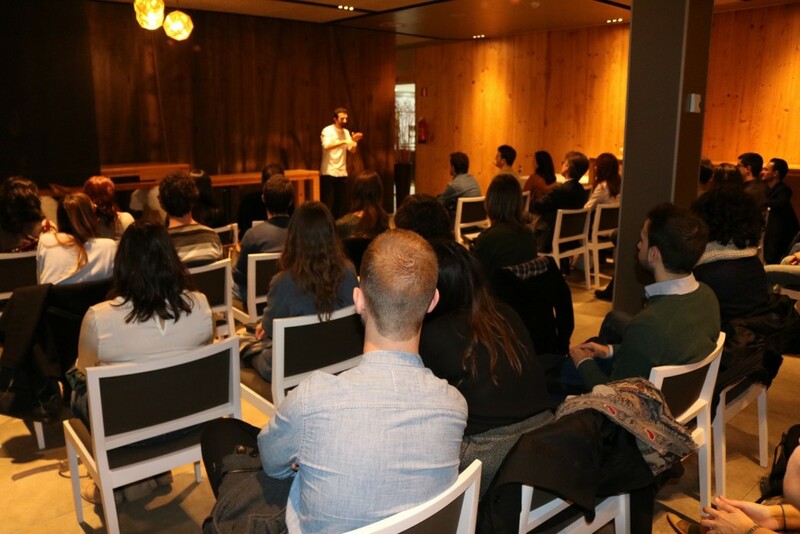 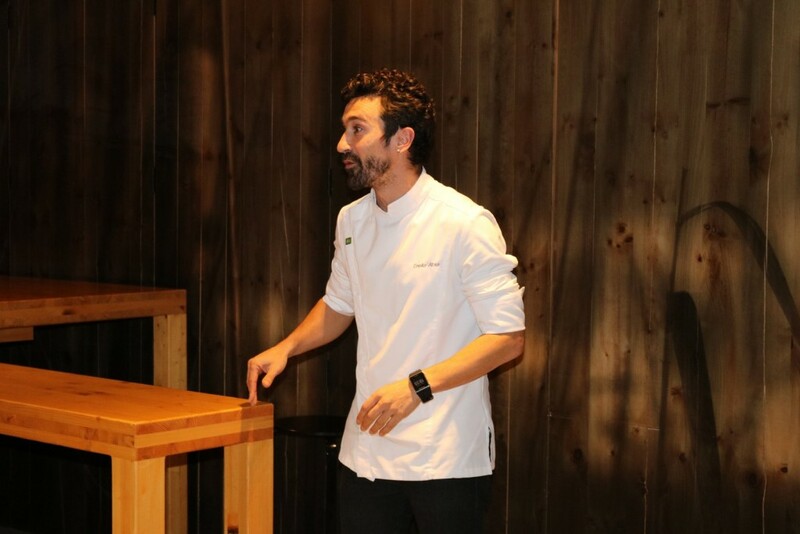 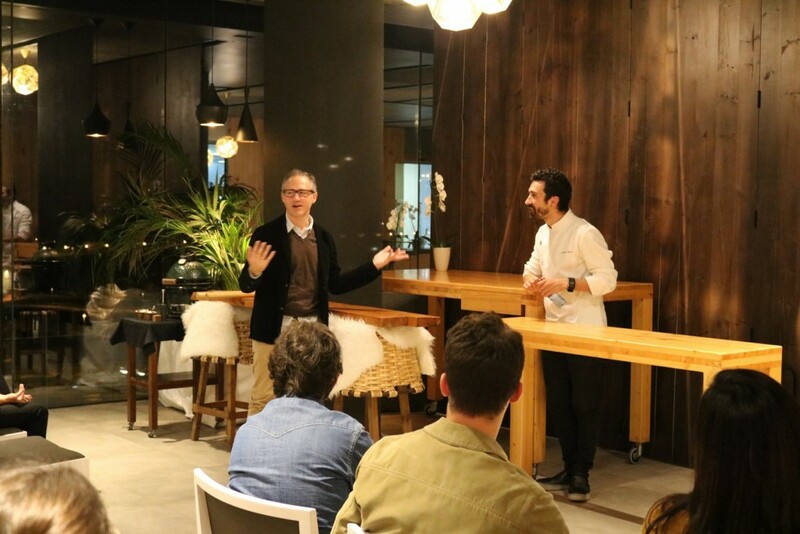 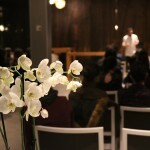 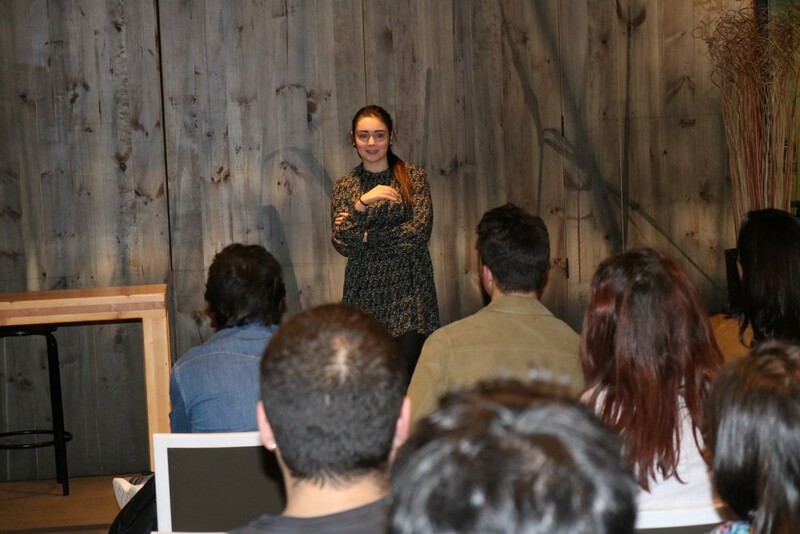 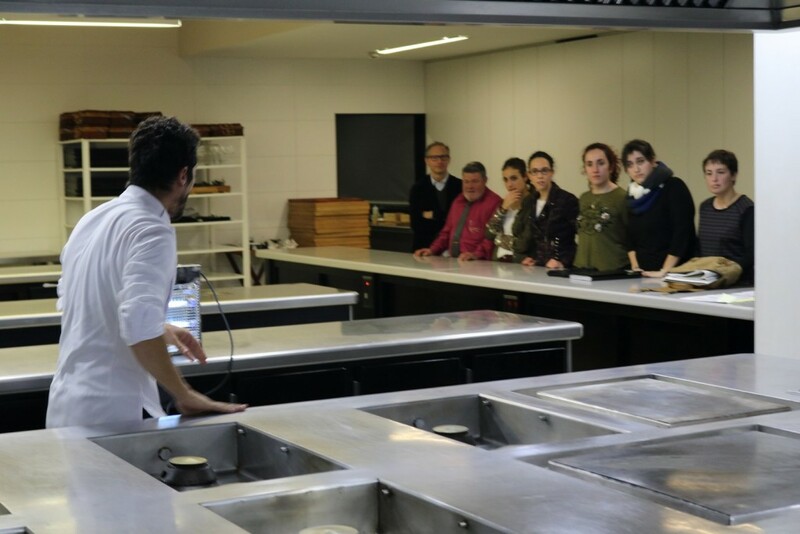 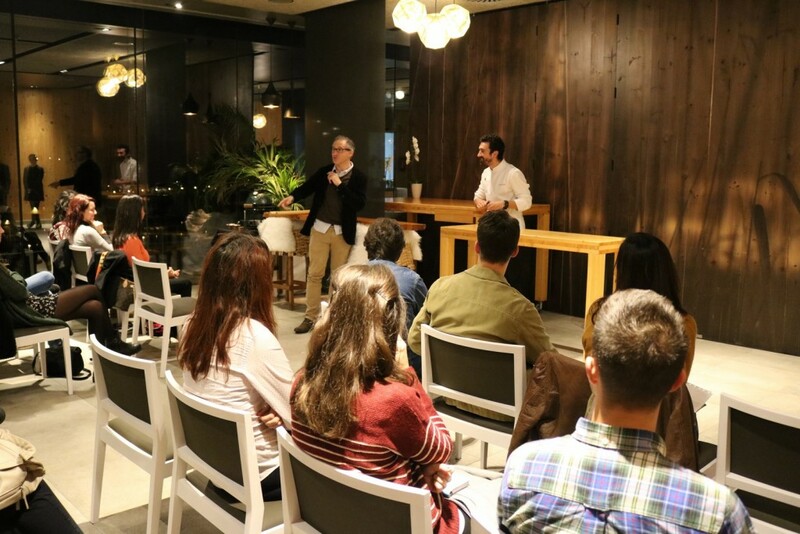 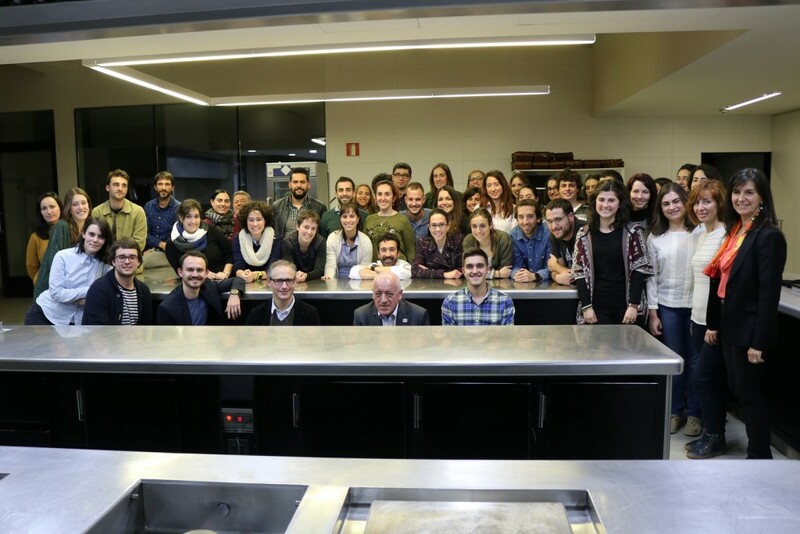 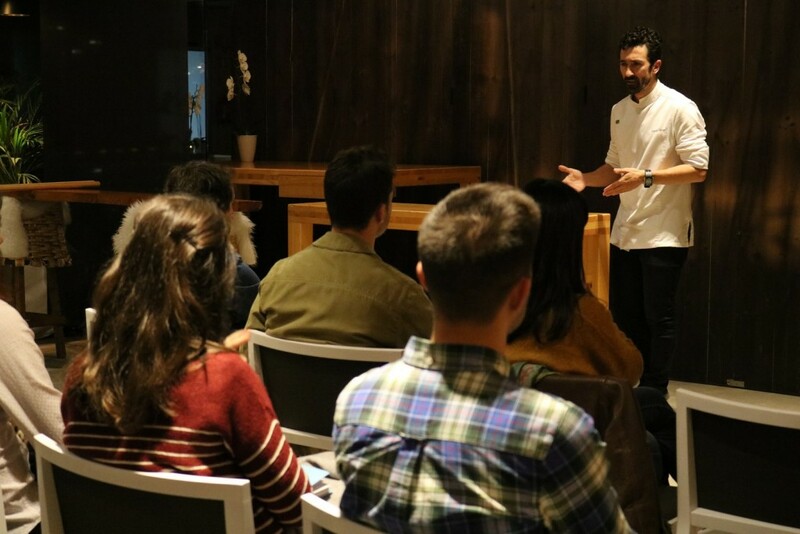 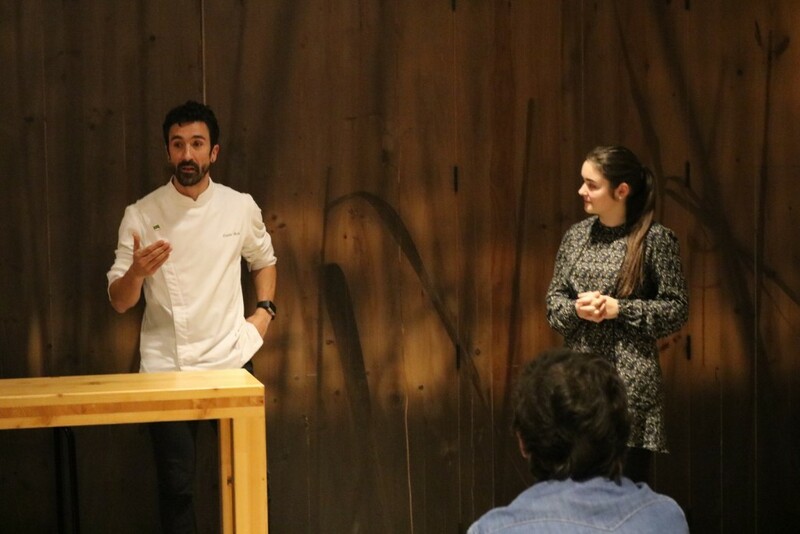 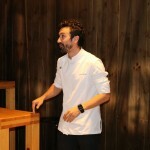 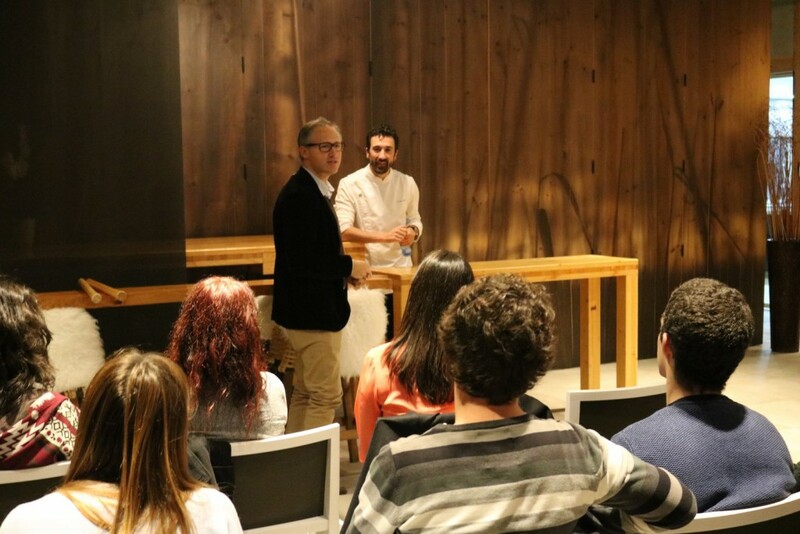 Last Thursday, 15 December, the internationally renowned chef Eneko Atxa held a workshp with members of the Talentia network in his restaurant, Azurmendi, de Larrabetzu, which he calls “home”. 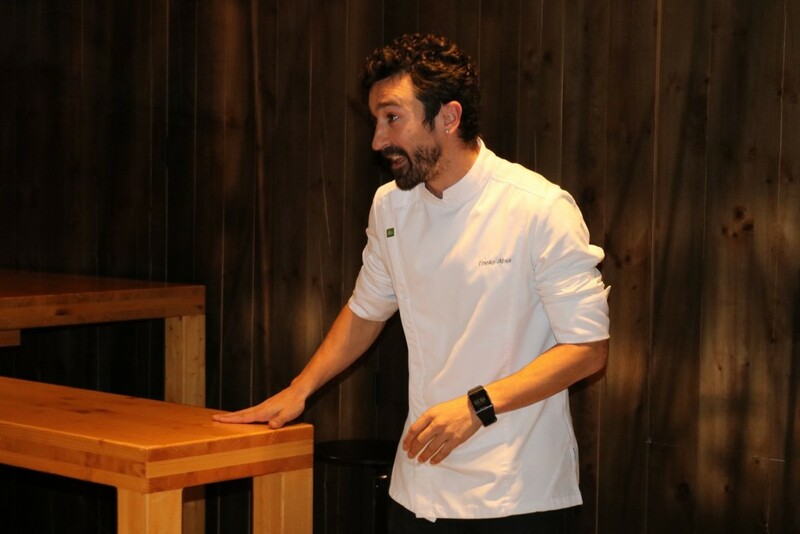 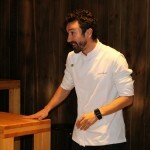 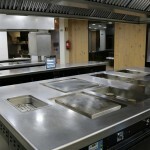 After receiving the third Michelin star in 2012 and being considered the number 16 restaurant in the world in by the best 50 index of the Restaurant magazine, and due to innovative and bold processes in the world of international cuisine, Atxa, who is the first and only chef honoured with these awards in Bizkaia, states that “it is necessary to continue reinventing oneself to achieve being the “Restaurant of the Future” with excellence as a starting point”. 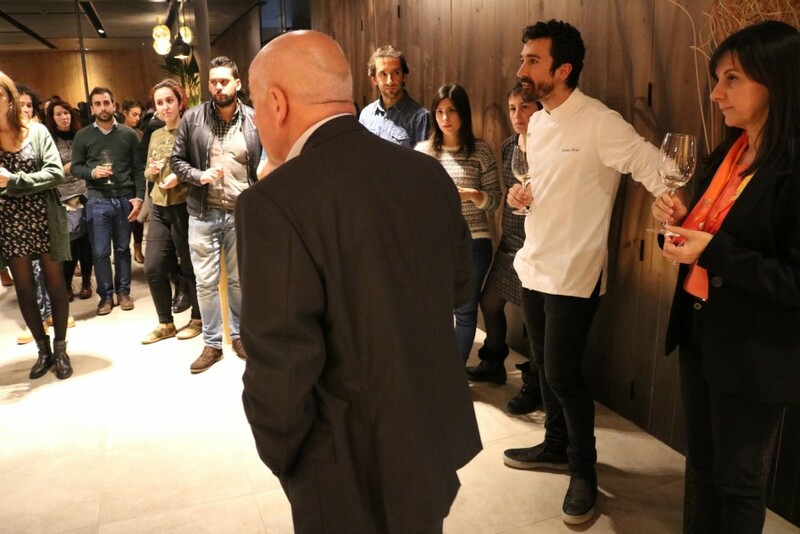 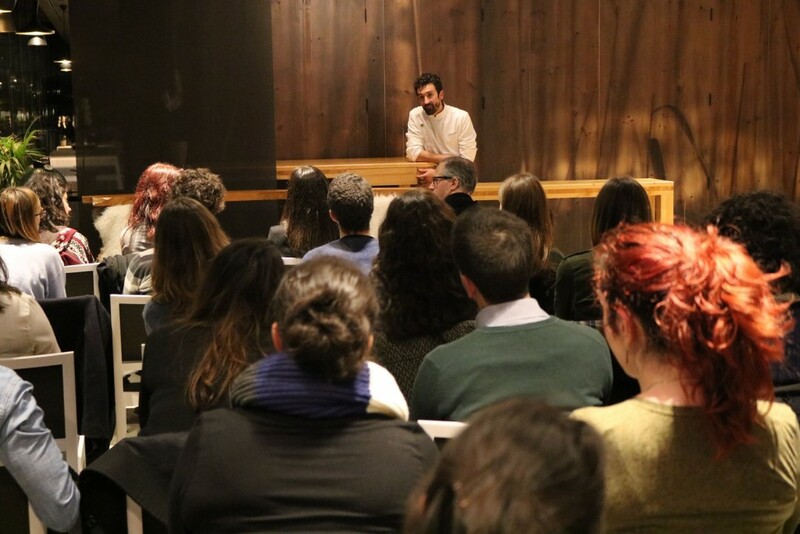 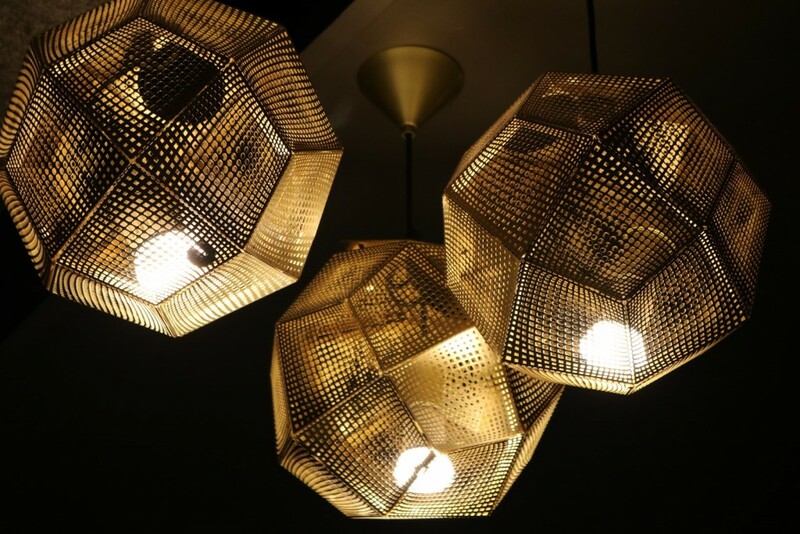 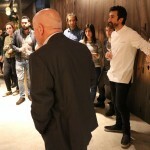 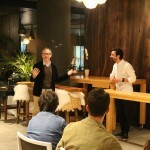 Throughout the hour and half-long talk, the chef made a balance of his 11 years of history before more than 50 young talents, and reported on the creative process he has conducted during this time, based on his commitment with customers, employees, producers and suppliers. 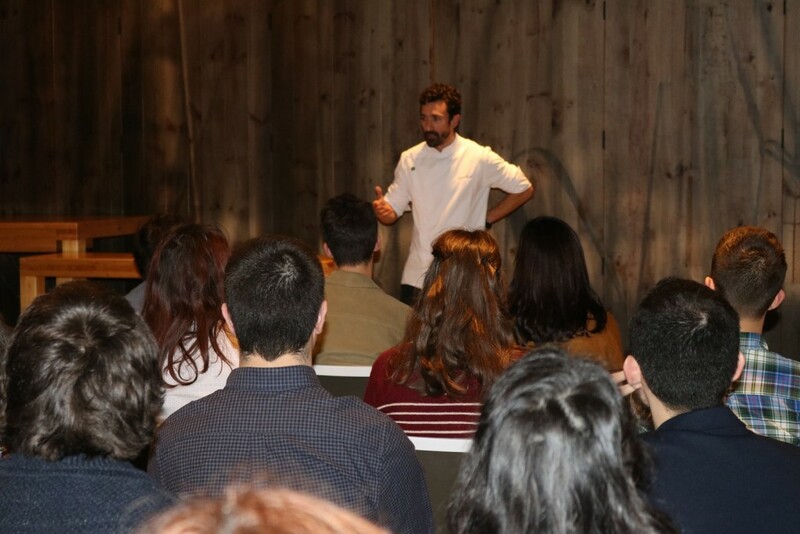 Atxa conveys a very special philosophy, with great charm, not only in what refers to the culinary world, but also to the professional one in general where he steadily places value to his roots, to dialogue with his immediate surroundings and with the traditional Basque culinary recipes, which have been and remain the foundations of each and every one of his creations. 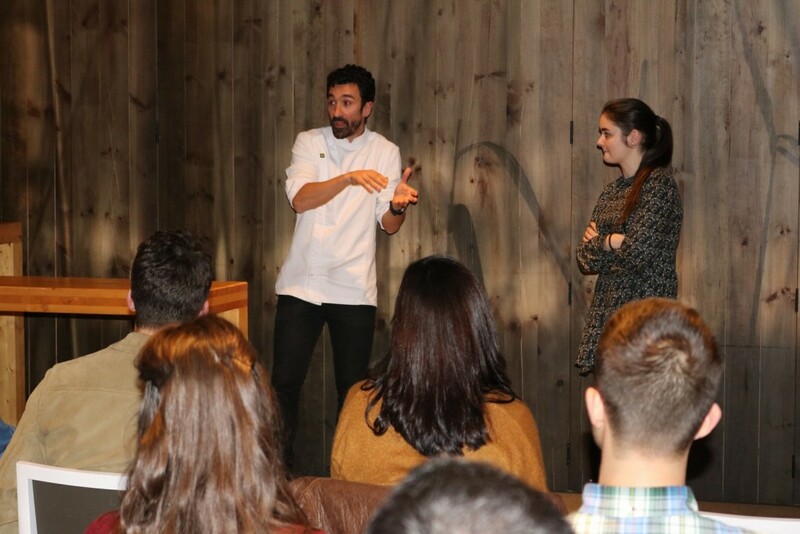 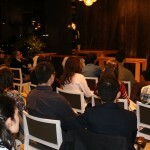 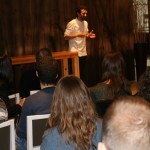 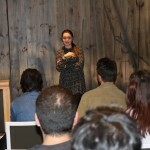 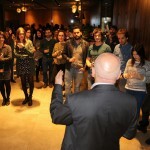 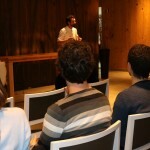 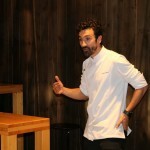 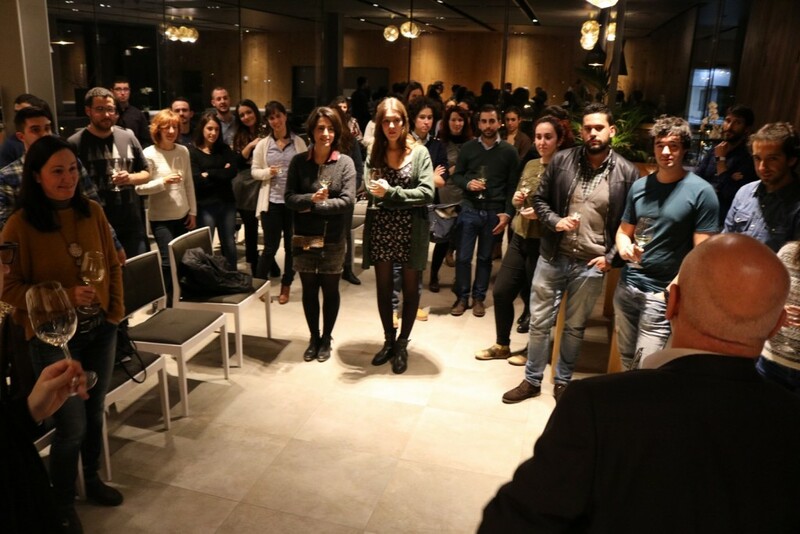 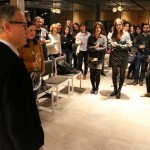 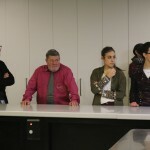 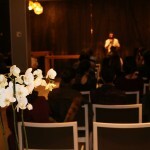 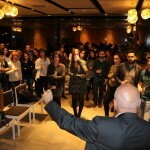 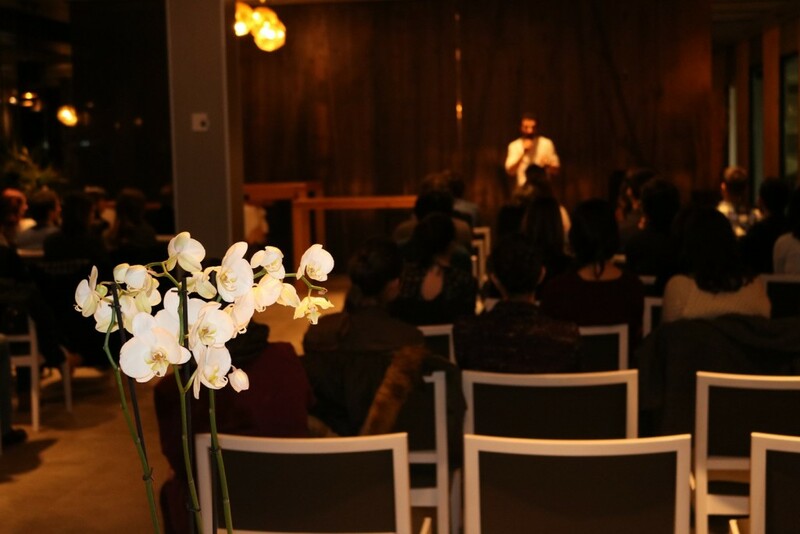 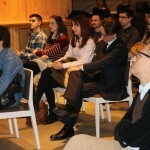 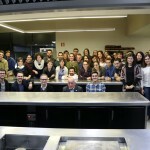 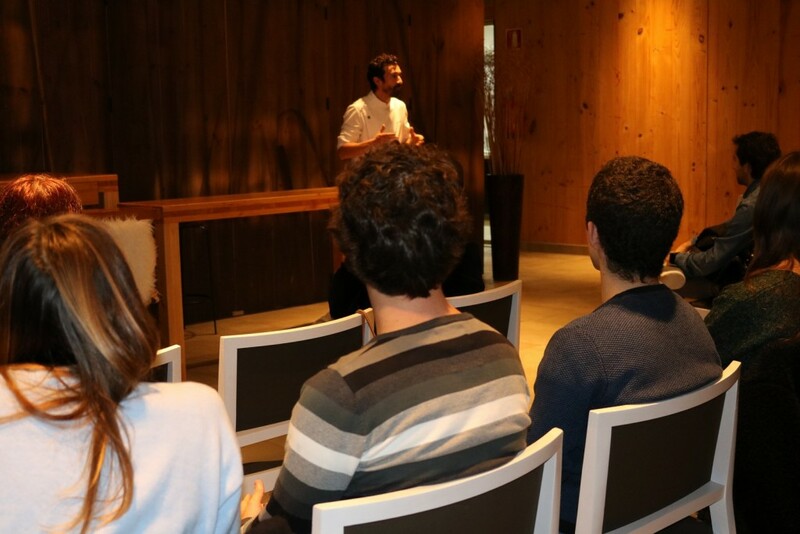 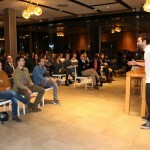 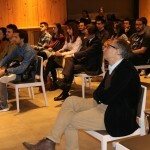 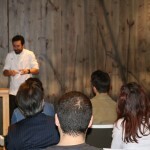 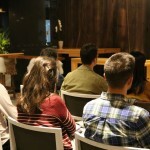 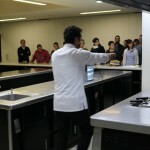 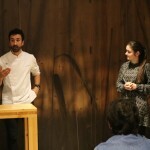 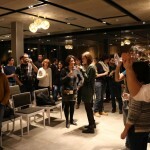 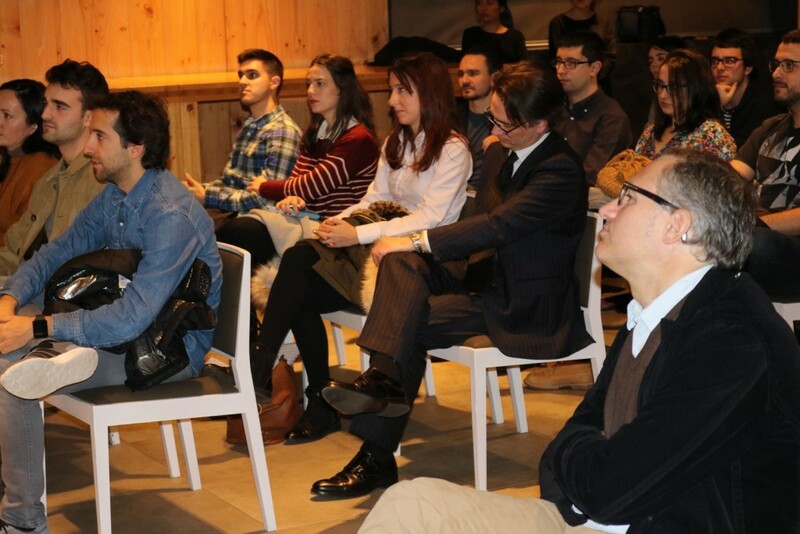 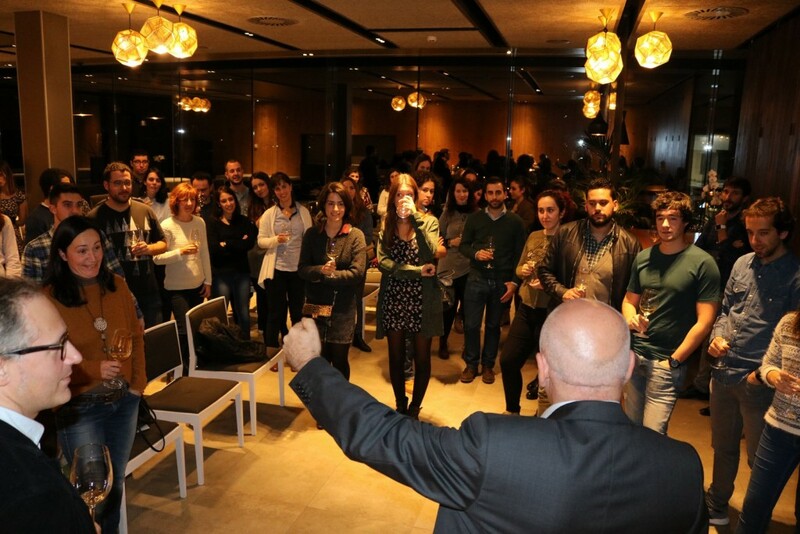 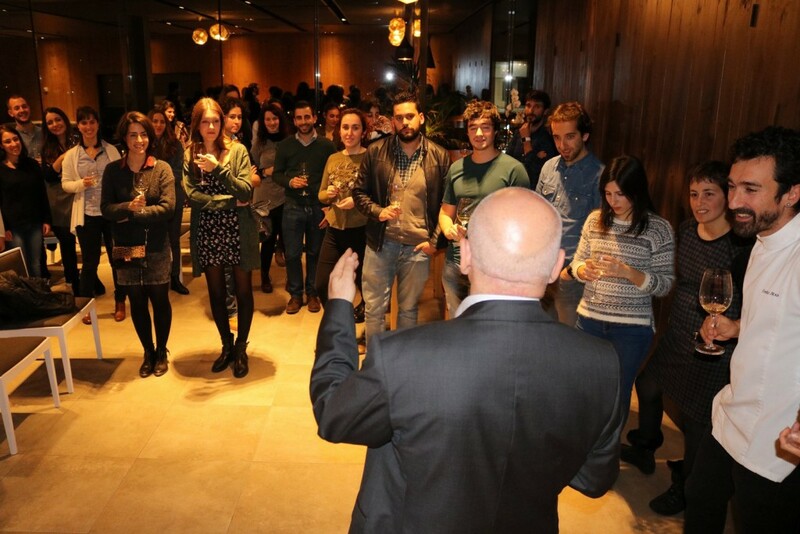 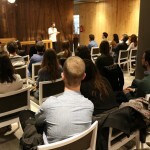 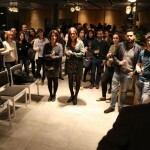 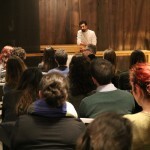 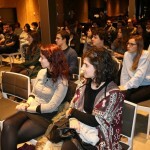 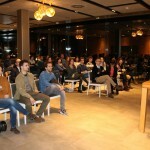 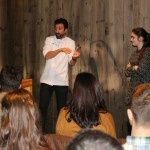 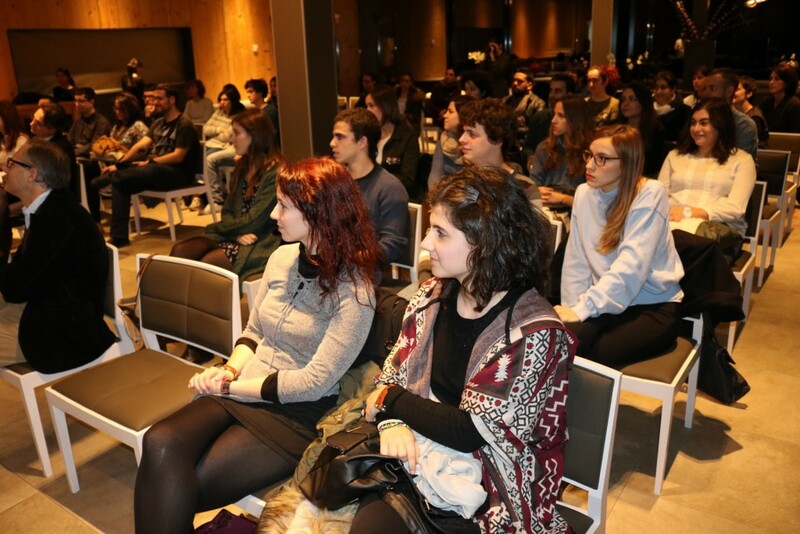 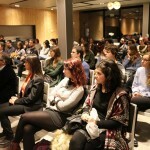 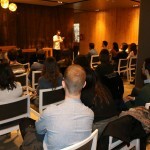 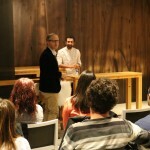 During his presentation, the chef asked the young talents for their involvement and help to develop multidisciplinary teams, several lines of work and real projects in subjects such as health, sustainability and solidarity that they have been working on with the support of leading local and international institutions, which will be developed over the coming months.